Fees for the 2019 season: Dec 1/18 - Jan 31/19: $250; Feb 1-28/19: $300; after Mar 1/19: $350 (registration is complete once payment has been received). Novice teams have one home and one away game per week and one or two practices per week. The season runs from April to the end of June. There are 4 levels at this age group A1, A2, B and C. We introduce contact at this age and we will be traveling to the surrounding communities. Richmond will put out teams at different levels based on the number of players registered and the caliber of the players in each division. Player evaluations will take place in the last two weeks of March and the first week of April to determine placement of each player. Requests to play with friends will be considered on a case by case basis and must be made to the division co-ordinator prior to the evaluation process. There tournaments during the season that teams can enter as well as our Salmon Festival Tournament. Novice teams play in the Salmon Festival Tournament hosted by Richmond the third week of June that parents are required to volunteer during. 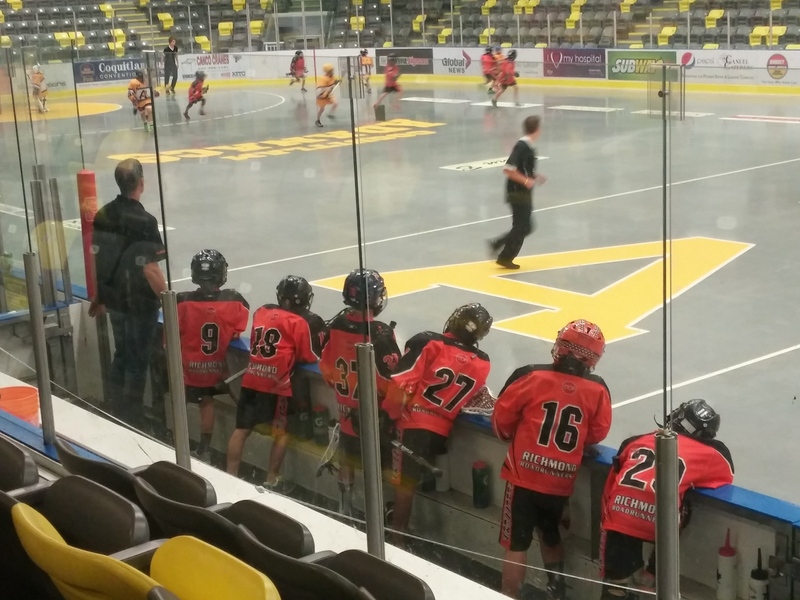 This year we are running evaluations at Steveston Box between March 21-April 6 with team formation by April 6th. There will be a minimum of 6 practice session for Novice, Pee Wee and Bantam of which your player must attend at least three to be properly evaluated if they are wanting to make the top team in their division, if they are not they must attend at least two session. As the evaluations go during Spring Break if you email your division coordinator and myself of the sessions that you will be missing and the reason, we can make arrangements for an additional session that your child can be looked at before the final placement is made. Coaches may make adjustments to their rosters in the first few weeks of the season and although we try and make as few as possible it can sometimes happen.